As the internet becomes more accessible to a wider audience of users all around the world—especially school-age children and other learners—the field of education technology has boomed. The last decade witnessed a proliferation of online courses, personalized learning, app-based instruction, new learning management platforms, and blended-learning environments. The global edtech industry has grown so quickly, in fact, that it’s predicted to be worth $252 billion by 2020. Even with all that advancement, though, studies have shown that technology alone doesn’t improve student outcomes. To boost achievement in learners of all stripes, be they middle-schoolers or career-focused professionals, education solutions have to be flexible and responsive, personalized and adaptive to the needs of students and instructors alike. They need to ensure continuity in the learning process by allowing users to easily find and absorb information, communicate with their peers and partners, and navigate through course materials, all while maintaining a sense of community among a group of people who may not otherwise regularly interact with each other. Enter this month’s hot startups: Schoology, MissionU, and EdCast. All three companies are committed to tackling the inherent challenges of edtech, and they’re doing so in a variety of ways. To promote collaboration and facilitate student achievement, Schoology puts communication at the core of the learning management system. This means every stakeholder—students, parents, teachers, and administrators—can communicate from the same place they find all their district information. It also works to fluidly integrate learning management and assessment management, so that both students and instructors can get everything they need in one place. Schoology also recently conducted a survey of nearly 3,000 K-12 educators to learn more about how they use technology in their classrooms. Be sure to check out the findings from their study, The Global State of Digital Learning. 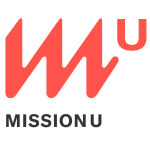 MissionU, which was acquired this month by WeWork, isn’t your traditional online educational platform; it’s not affiliated with a university, and it doesn’t grant degrees. Instead, as Braun emphasizes, MissionU focuses on maximizing employment and career outcomes for its students by harnessing the best technological advancements in the educational field. “MissionU completely aligns with students from day one,” says Braun, through year-long, immersive classes that avoid the potential shortcomings of individually driven online education by conducting live online classes and regularly scheduled in-person meet ups. Additionally, real-world, project-based work experience is built into MissionU curricula, which means that by the time students have completed their coursework, they have hands-on experience, strong portfolios, a bank of solid references, and inside access to high-profile employers like Spotify, Warby Parker, and Lyft, with whom MissionU maintains partner relationships. EdCast takes a more under-the-radar approach to edtech by focusing on corporate workforces—a population of learners that’s often overlooked in broader conversations about education, but one that’s big business. EdCast was founded in 2014, and for a relatively new kid on block, it’s found its way into the workings of some of the most prominent global enterprises, from Accenture to the Kraft Heinz Company. As the company puts it, EdCast’s solutions address “the increasing need of organizations to upskill, reskill, and onboard their workforce more efficiently and collaboratively.” This covers educational endeavors like expanding the knowledge base of current employees, retraining workers for new operations, and getting recent additions to the workforce up to speed as thoroughly and quickly as possible. To cover all that ground, EdCast has developed “advanced AI and machine learning technologies to source highly relevant content for individual users, from both internal and external sources.”In other words, EdCast’s AI-driven solutions use a wide-range of resources to find the information that individual users need, and this serves as the foundation for the personalized learning experiences EdCast offers. EdCast offers a variety of solutions for its clients, including learner-centric educational platforms, sophisticated analytics to improve workforce training, intuitive learning management systems, and multi-language in-app content authoring solutions, all of which aim to increase employee productivity, decrease employee support and training costs, and speed up the onboarding process for new employees. Be sure to follow EdCast’s blog to keep up with all its projects.